MyLFP are a major distributor in the UK of Cannon large format printers. 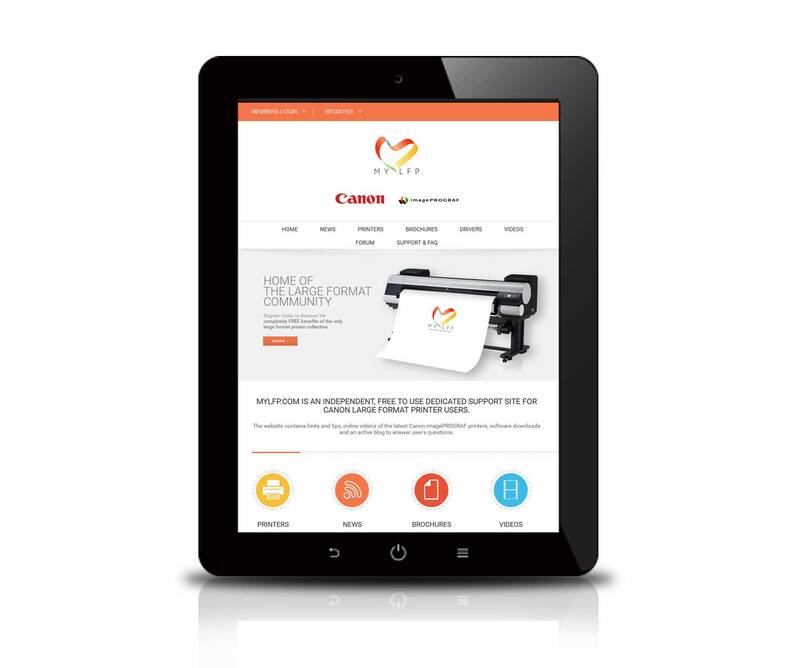 The initial brief was to create a one stop support initiative for the large format printing community, offering video tutorial resources, print driver search engine and detailed information on each printer across the Cannon range. The front end of this WordPress site is a community resource for offering support for large format printing machines. The back-end is a fully functional support portal where problems with machines are logged and assigned to the nearest engineer. womens health. All engineers are able to logon to the system remotely and log all call out information.